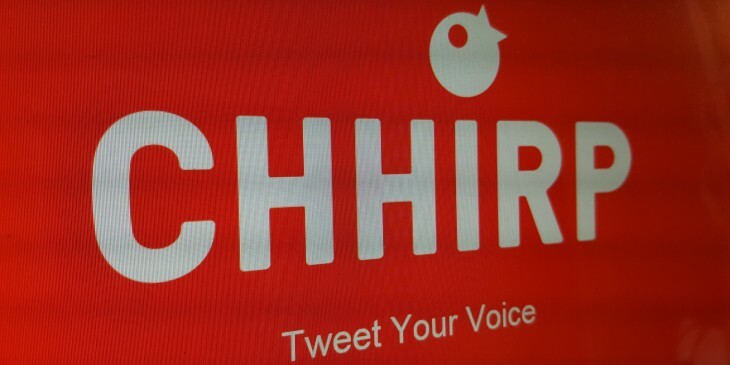 If the excitement around live streaming apps like Meerkat and Periscope has piqued your interest as to the possibilities of new interaction on social media, you might want to check out Chhirp for iOS, which lets you send short voice clips directly to Twitter. Released just a few days ago, the app allows you to record up to 12 seconds of audio and share it straight from your phone. People can then listen to the clip on Chhirp, Twitter or via the Web. Thankfully, there’s also support for Twitter Cards, so Chhirps can be played back in your timeline too. Your Chhirps play on a loop too, just like a Vine. In fact, it’s just like Vine, but for audio only. We’ve only done a little testing so far, but the app seems to work exactly as described. We’d like to see the option to delete Chhirps, as you currently can’t, but we’d be interested to see if it captures the same sort of imagination and attention as its video live streaming counterparts. Some people are already using it for little audio comedy clips, and we could imagine the appeal of sending a Chhirp in response to a tweet when 140 characters just won’t do, but it’s so new that its primary ‘killer’ use case probably hasn’t even been discovered yet.